“Miho-no-matsubara”, which literally means Miho pine grove, in Shizuoka Prefecture is a well known scenic spot as the setting for “hagoromo-densetsu” an old tale of the celestial robe of an angel. There are fifty-seven thousand pine trees in “Miho-no-matsubara”. The distant view of Mt.Fuji seen from here particularly in Winter is stunning, and Utagawa Hiroshige the great “ukiyo-e” woodblock print artist from the 18th to 19th century depicted this scenery. This place is the setting for an old tale of the celestial robe of an angel and the six-hundred year old pine tree as shown in the first picture stands here. 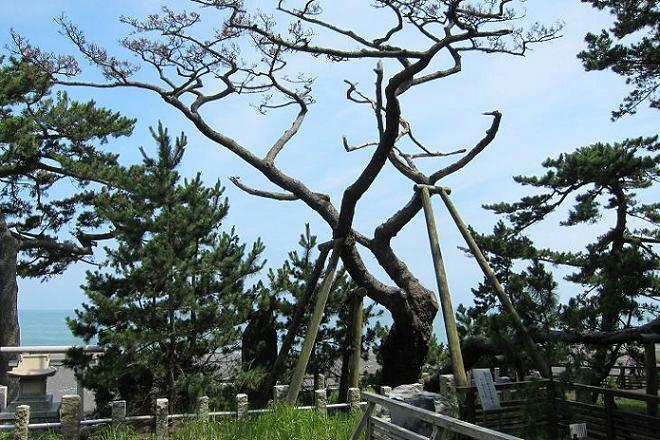 People say the old tree called “hagoromo-no-matsu” is where an angel hung her robe when she came down to earth. 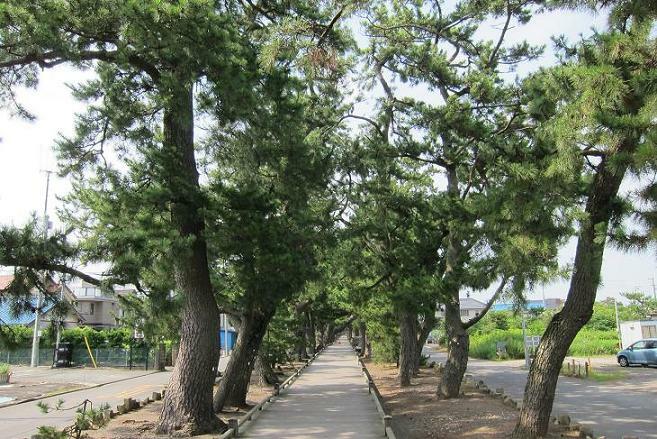 The second picture shows a street lined with pine trees called “kami-no-michi” street of the god, which runs from nearby “miho-jinja” Shinto shrine to “hagoromo-no-matsu”. An old tale of the celestial robe of an angel: A fisherman hid the robe from the angel which was found on the branch of the pine tree. An angel pleaded with him for the robe because she couldn’t go back to the heavens without it. He finally returned it to her for pity’s sake. The angel performed a graceful dance as a token of her thanks while going back to the celestial world.